Research is an important skill for both historians and history students. As the word suggests, research is the search for information, ideas and evidence. For younger students ‘research’ might have involved locating information in a textbook, a class set, the school library or on the Internet. True research, however, is more intensive. Historians and students at higher levels must be more thorough and creative with their research. They should look search for information in a range of places, not just one or two. The mark of a good researcher is their ability to turn up information and evidence that others do not. This information makes their own work stand out from the crowd. As with other history skills, effective research methods are learned, developed and refined over time. This page contains some advice on researching for history – including some suggestions on places to go for information and evidence. Despite the emergence of new technologies like the Internet, books remain the best source of historical information and evidence. Most history students will have one or two mandated textbooks – but for research tasks, these should serve only as a starting point. Locate other relevant books in your school, college or community library. Ask your teacher, lecturer or librarian for recommendations about books appropriate for your research topic. Use the contents and indexes of books to locate specific information. Scan, copy, make notes and gather quotations from books you find useful. Find out if your school or college subscribes to online archives like Scribd, which provide full-text access to thousands of published books. Websites like Internet Archive and Project Gutenberg offer free online access to millions of books, many of them history related. If you have an iPad, Kindle or other tablet, e-books are an accessible and low cost option; try searching websites like Amazon and Kobo for useful e-books. A sourcebook is a published book that contains a large number of primary documents and/or images from a particular historical period or event. Sourcebooks are usually compiled by one or more historians who write narrative or explanatory text for each source or chapter. Sourcebooks are invaluable because they contain a large amount of primary evidence, allowing you to study these sources directly rather than relying on the interpretations of others. Many storefront and online bookshops sell sourcebooks: simply search for your specific history, along with “sourcebook” or “documents”. New York’s Fordham University hosts perhaps the best known online sourcebook, spanning numerous ancient, medieval and modern histories. Milestone Documents is a useful archive of documentary sources, though it requires a paid subscription. An encyclopaedia is a single book or collection of volumes, each containing many articles or entries. Some, like the Encyclopaedia Britannica, contains articles on a very broad range of topics and disciplines. 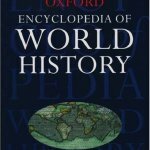 Some encyclopedias focus on a particular area of knowledge, such as biographies, nations or historical periods. History researchers may find specialised volumes – like the Encyclopedia of the American Revolution and the Encyclopedia of the Vietnam War – to be an invaluable source of information. Encyclopedias are usually written by one or more historians or experts in the topic. Articles are written with considerable depth and the A-Z layout makes it easy to navigate. The downside is that these specialised historical encyclopedias tend to be much sought after, hard to locate and quite expensive. 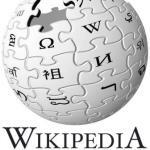 Wikipedia is a collaborative online resource, started in 2001. It now contains more than 30 million articles. Wikipedia is often described as an encyclopaedia, however, unlike true encyclopaedias its authorship is vague and the credentials of its authors are untraceable. Because Wikipedia covers millions of topics, is easy to navigate and appears at the top of most Internet searches, it has become the world’s most consulted source of online information. History students should exercise extreme caution when using Wikipedia, Wikipedia clones or mirrors, or similar websites. The most significant problem with Wikipedia is the fact that its authors are unknown and its articles are not peer-reviewed or subject to consistent scrutiny. Anyone can edit a Wikipedia article and include unverified or unverifiable statements, biased or agenda-driven information, loaded language, apocrypha, myth or sheer nonsense. This is not to say that Wikipedia has no value. Many articles are well maintained and contain sound historical information. As a rule of thumb, there is nothing wrong with consulting Wikipedia as a starting point but never rely exclusively on its content. Most importantly, never cite Wikipedia as a source: there is no faster way to annoy or alienate your teacher, lecturer or assessor. 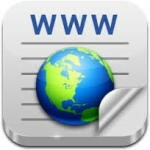 The Internet is a vast global network of computers, servers and websites. It is an invaluable source of information, containing millions of different websites and thousands of history related sites. The obvious drawback to Internet-based research is that these websites are sometimes unreliable or untrustworthy. Collaborative encyclopedias like Wikipedia and answers.com can be useful starting points for research, however their authors are unknown, their objectivity is sometimes questionable and the depth and quality of their content can vary. Searching can turn up dozens of websites about the same historical period or event, however, these search results do not take into account the validity, reliability or authenticity of each website. Websites can range from university-hosted resources, written and curated by experts, to hobby sites written and constructed in someone’s bedroom. It goes without saying that some websites will be very useful – but extreme caution is required. When assessing a website, your first step should be to examine the source or creator of the site. As a rule of thumb, the most reliable history sites are created or written by qualified historians, academics and teachers. Sites that do not provide information about their authors and their credentials should be avoided. Google Books is an online archive containing digital scans of more than 35 million published books. Beginning in 2004 as Google Print, the Google Books project hopes to scan every book in existence by the year 2020. The advantage of Google Books is that it is fully searchable: the user enters a word or string of text and is given a list of books containing that text. Not all search results can be viewed, however, due to copyright restrictions. Google Books is an excellent place to locate and preview books that may be valuable for your research. 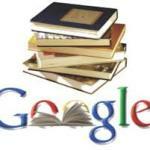 You can also use Google Books to gather quotes or information on complex or obscure topics. Go to https://books.google.com to begin and enter your search query. By using the Search Tools button you can filter your results by language, date of publication, country of publication, and so on. 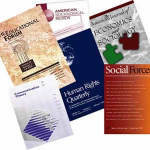 Journals are specialist works published periodically, usually monthly, bi-monthly or quarterly. They are sometimes known as academic journals or scholarly journals. Most journals contain news, book reviews and essays written by academics and historians. Most journals are peer-reviewed, which means their content is scrutinised by other academics or experts before publication. Because journals are written by experts and published regularly, they are probably the best place to find the latest research on a particular topic. A list of history related journals can be found here. Large colleges and universities often hold physical copies of some journals, while other journals can be accessed through online archives (see below). Most schools, colleges and libraries provide their students with several online archives and repositories. These archives are paid services that provide access to a searchable archive of books, academic journals, magazine articles and other useful publications. Some of the best known online archives include JSTOR, EBSCO, Project MUSE and Questia. 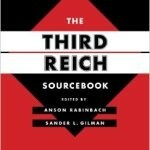 These archives are probably the best place to find information on complex or obscure history topics. Searching these archives is more involved than searching the open web, however, so will require more of your time and perhaps some training. You may also need to sift through and read many search results before you find exactly what you need. Some of these archives allow you to download and save articles and documents in PDF format, which is useful. Old newspapers are an invaluable source for historians or history students researching a particular event or issue. 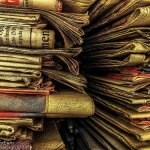 While the factual content of historical newspapers can be dubious, studying these newspapers helps you understand how public attitudes and opinion were shaped by the media. Before the digital age, finding information in old newspapers involved a trip to the library and a considerable amount of time scanning through physical newspaper collections, or reels of microfilm or microfiche. Today there are dozens of online newspaper archives that allow you to do the same thing, simply by searching keywords and phrases. Some newspaper archives are entirely free, such as Chronicling America (US, 1836-1922), Last Chance to Read (UK) and NLA Trove (Australia). Many other archives require paid access, so check if your school, college or local library has a subscription to any of these. 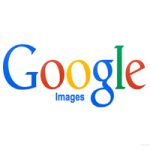 Google Images is probably the first place to search for historical visual material. Try a range of search terms, including dates for any particular events you are researching. When scanning search results, look for websites that might host image galleries relevant to your research. Wikimedia Commons is another useful source of public domain and creative commons images. Universities and libraries often host image collections and digital exhibitions of historical images, such as Stanford University’s French Revolution Digital Archive. When you find a visual source on the Internet, always ensure that it is authentic and credible, as some seemingly genuine sources have turned out to be either modern forgeries or doctored versions of the original. Students researching 20th century histories might also be interested in historical film or video, such as newsreels, TV news reports, amateur footage, propaganda or official government films. This footage can be studied as evidence and/or incorporated into projects or presentations. There are several online archives that host historical films, including the Prelinger Archives, British Pathe and the Newsreel Archive. Most national and state libraries in the US, UK and Australia also host film archives containing historical footage, though access and permissions may vary. For documentaries, search video hosting sites like Youtube, Dailymotion, Teacher Tube and Top Documentary Films. Another useful site is Documentary Storm, which curates and aggregates free online documentaries. J. Llewellyn et al, “Researching for history” at Alpha History, https://alphahistory.com/researching-history/, 2014, accessed [date of last access].